Oxford City Council will fly the European Union flag on the day the UK formally leaves the institution the vast majority of Oxford residents voted to remain a member of. The plan was approved by the City Council’s executive board at a meeting on Wednesday, in a move that will be seen as a statement of defiance and dissatisfaction with Brexit. 70% of Oxford residents voted to remain in the 2016 referendum and the views of the council reflect this strong local pro-EU sentiment. The flag will be flown from a mast above the town hall’s 1930s extension, with the large mast above the main entrance to the town hall in St Aldates still flying the council’s own flag. 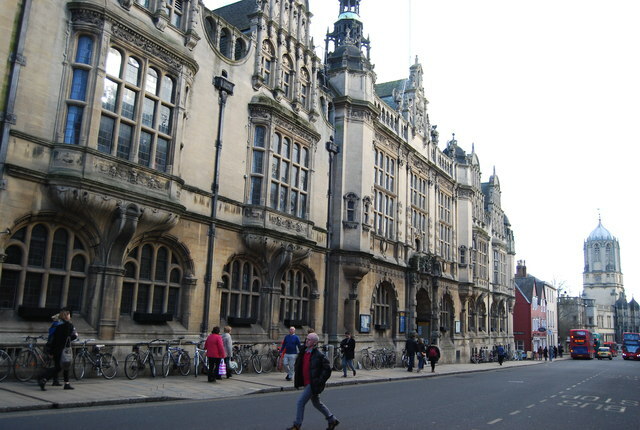 The executive has also agreed to fly flags marking its support for local issues such as the Oxford Living Wage campaign, which it runs and promotes, and disability awareness. The Council also uses a third mast on Carfax Tower to fly the Union Flag on certain national holidays, though it will not be flying the day the UK leaves the EU. Along with the strong Oxfordshire support for remain, with only the Cherwell district voting to Leave, this move is also in line with overwhelming vote in July by the City Council in favour of a second referendum, or “People’s Vote”. Though in that vote, the council leader had abstained from voting.